So, it’s been awhile since I got the pair of Pinlock ear plugs. 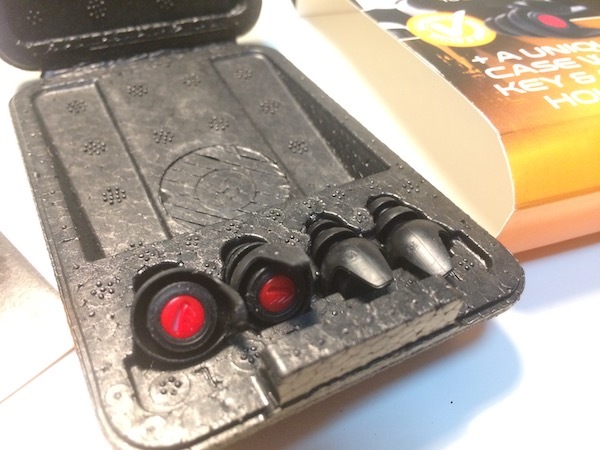 Since then, I’ve taken it on short rides, on longer rides, through city rides and even on the Malaysian highway run at triple-digit speeds, and I thought I’d pen my thoughts on this set of ear plugs. 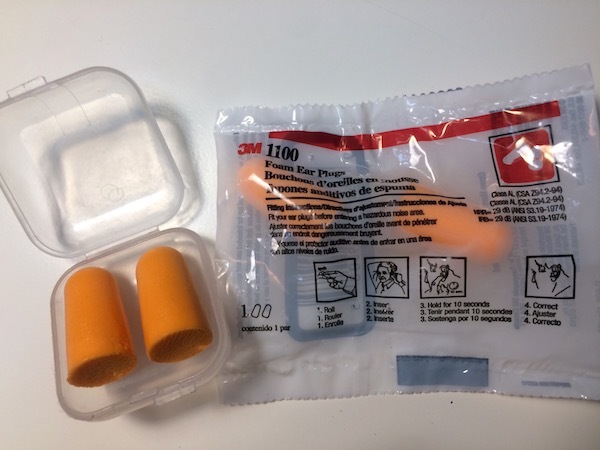 The Pinlock ear plugs packaging. 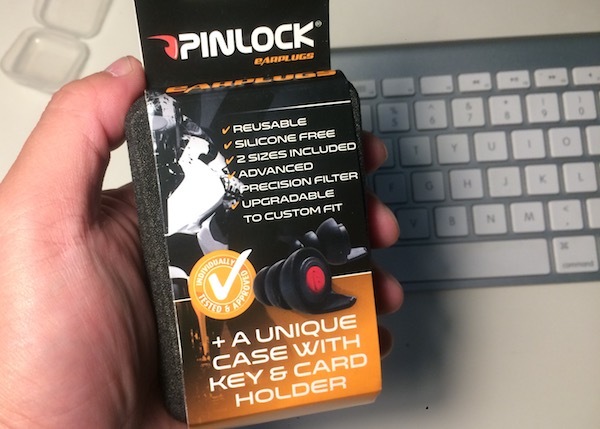 First, a little bit about Pinlock – the company. Pinlock is a pretty recognised brand in the motorcycle industry and are very well known for their excellent anti-fog visor inserts for motorcycle helmets. So when they came up with the ear plugs, I was pretty confident that it would be a quality product too. I’ve always believed in hearing protection during motorcycle riding. It’s not that motorcycles are noisy – it’s the WIND NOISE when riding at highway speeds that can cause irreversible hearing damage. I used to ride with cheap, disposable 3M foam ear plugs and love how it makes the ride just feel more comfortable and pleasant. The disposable 3M -29dB NRR foam ear plugs I’ve always used for my motorcycle rides. I always keep a few with me and sometimes give away (new ones, of course) to other motorcycle riders. While the disposable 3M foam plugs work VERY WELL, they have one big problem – they work so well, that it’s impossible for me to have a proper conversation with anyone when I’m wearing them… even if they SHOUTED! Of course, this isn’t a huge issue. And really isn’t something that I needed to do all the time. But because it works so well in isolating noise, I’ve also experience what some riders would call “zoning out” – feeling isolated from the real world. I can’t hear the sound of the engine of the car next to me; I possibly can’t hear the sirens of the ambulance some distance behind me; I definitely cannot hear my motorcycle engine hum, roar or gurgle at idle – which may not be a good thing when it comes to detecting early problems with the engine; and no, I cannot carry a quick conversation with the other cool motorcycle rider stopped next to me at the traffic junction. The contents inside the packaging of the Pinlock ear plugs. This is where the Pinlock ear plugs come in. Pinlock claims that these ear plugs are engineered specifically for motorcycle riders. The earplugs reduces wind noise while riding to a safer level, using an “integrated advanced precision filter”. The “advanced precision filter” blocks wind noise harmful to the ear without causing muffled hearing, allowing the rider to pick up on important sounds such as conversations, emergency vehicle sirens, horns and sounds from approaching vehicles. When riding at highway speeds, my experience was that the Pinlock ear plugs blocked out wind noise AS GOOD AS the 3M foam ear plugs. Well, if you’re looking for something that blocks out wind noise BETTER than the 3M foam’ies, then you’ve got to look elsewhere. Even so, it’s probably hard to beat the 3M foam’ies when it comes to noise isolation and comfort. But the true beauty of the Pinlock ear plugs is that it now allows me to hear my surrounding A HECK LOT better than the 3M foam plugs! It’s just surreal! I can now hear my engine roar (motorcycle engine roars are always music to the rider’s ears, anyway! ), hear the sound of the cars creeping up beside me, and when stopped with my modular helmet flipped up, I can finally carry a decent conversation with another person! 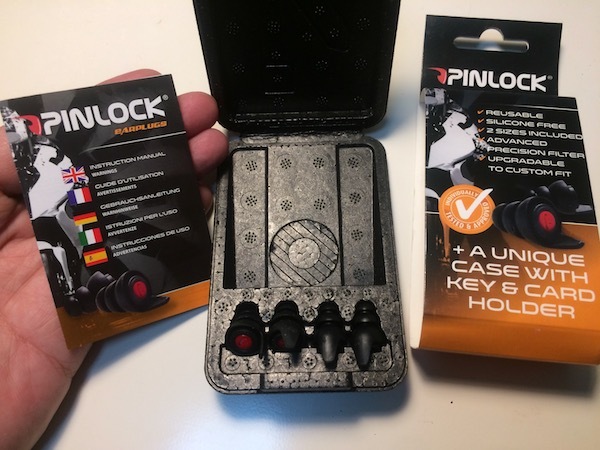 The Pinlock ear plugs comes in 2 sizes – small or large. It only comes with 1 set of (removable) noise filters though – the stuff that blocks out the bad noise and lets in the ones that you want. BUT… don’t expect the (good / wanted / desirable) sound to be as good as when you’re not wearing any ear plugs at all. I’d best describe the “desirable” sounds to be close to what you would hear when you have a set of non-isolating earphones inserted into your ears…. hmmm… perhaps maybe like a set of Apple Ear Pods stuffed into your ears with no music turned on. Though it’ll muff out *some* noise, you can still mostly hear what’s going on around you. EDIT: After using it for some time, I’ve discovered that the Pinlock earplugs tend to get really uncomfortable. While it may be useful for short local rides, it’s not suitable for long tours. The hard plastic filter creates a pressure point inside the ear canal and my ears do feel sore after awhile. I had initially thought this to be an isolated case – but TWO other riders whom I know of complained of the same issue. 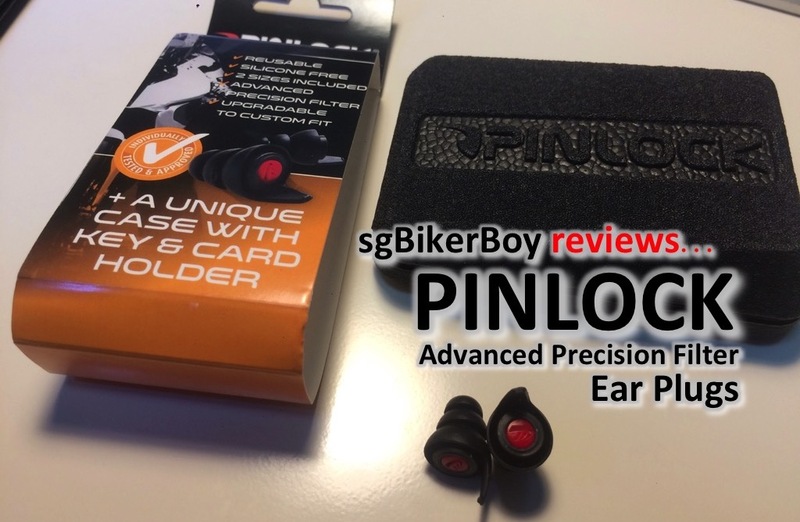 I found the Pinlock ear plugs to be VERY comfortable, and have absolutely no issues wearing it on long rides. In fact, fitting the set of rubbery ear plugs was a lot easier than the 3M foam plugs. All I needed to do was to lift my ear with the opposite-side hand and push the ear plugs into the ear canal. And since I don’t have to roll it up like what I used to have to do with the foam plugs, my riding-dirtied hands never have to touch the parts of the plugs that would go into my ear! Neat! The 3M foams ones however, would turn black after some use – not from my ears, but from my fingers having to roll it before stuffing into the ears. Eeew…. Would I recommend it? Nope! The discomfort of wearing it on long rides is the breaking point. It’s such a pity – as the selective noise filtering is quite good actually. Absolutely! Especially if you’re the sort of rider who wants hearing protection (who doesn’t? really??) but also want to hear surrounding sounds. It’s also PERFECT for riders who have a Bluetooth audio communicator installed where you don’t have to turn up the volume as much (thus saving power) and yet still offers excellent wind noise protection. But of course, at $30 a pop, it’s not for everyone. If you’re looking for super cheap, super comfortable and yet excellent hearing protection, you can’t beat the 3M foam ear plugs in terms of value and effectiveness. I think I paid $0.70 or so for a pair disposable plugs. So that means that I’ll have to run through 43 sets of disposables to have the Pinlock comparable to the disposables in terms of cost. But for the benefit of being able to hear my surrounding and not having to “zone out”, (EDIT: and if you can deal with the discomfort,) the Pinlock does an EXCELLENT job! I bought them from Racing World Singapore. In process for my weekend riding trip !